New cars come packed with features that provide data on how the vehicle is performing. Yet homebuyers invest hundreds of thousands of dollars on their house but have very little idea about what is happening in the home. People are likely to live in their homes for decades longer than in the past. This creates new demands for the future homes to adapt to the lives of the older people. New smart technologies for living, care and health services are entering the homes of people – but do they meet the real needs of people? John and Anup at the Smart Home workshop. Anup Raghavan, digital solutions specialist for technology company B.One Hub, said consumers in future will want their homes to be smart. This “need to know” will be particularly important for older people wanting to retain independence and who may be vulnerable to the rising cost-of-living. Smart homes can control who is at home, how appliances and services are working and whether energy and waste systems are efficient. Mr Raghavan took part in a workshop at LifeLab – a division of the Global Centre for Modern Ageing – which brought together established companies, entrepreneurs, researchers and older people to look at what future homes should be like to support older people living independently as long as possible. B.One Hub has a customisable app for homeowners to operate a smart home fitted with a range of devices. Consumers were on the cusp of letting go of the outdated concept of unconnected homes. “As an industry, it’s important we get feedback now at the beginning of this transition,” Mr Raghavan said. The workshop explored wants and needs of older people and their likely acceptance of change. Property developer Peet joined the workshop to deepen its understanding of trends and homebuyers’ future needs. “What people want is pretty universal. Good design is good design. We design homes to be comfortable and robust and which will last for decades,” said Stuart Headland, development manager at Peet. Peet – whose projects include Tonsley Village – caters for people of all ages from first-home buyers onward, including a growing market of older people. LifeLab executive director Veera Mustonen. The executive director of LifeLab, Veera Mustonen, said the workshop employed co-design principles to put companies and consumers onto a shared pathway. “In co-design, we believe everyone has something to bring to the table,” she said. Older people who participated in the workshop said they found the discussions lively and meaningful. “I am sure the outcomes will have future positive benefits for our community,” participant Geoff said. One of the products on display at the session was a health-monitoring system developed by iCCnet CHSA which enables clients to self-monitor their conditions from home and automatically sends the results to their clinic, hospital or health service. “It’s a lifesaver for rural patients who live too far to travel to their local clinic regularly,” iCCnet CHSA’s Nick Morfidis said. Another participant, Sean Grealy, founded Care Konnect, a mobile app for bringing together the network of people around an ageing or vulnerable person all in one place digitally, tackling social isolation and increasing direct feedback to service providers so people can stay connected to those who matter most no matter where they are in the world. 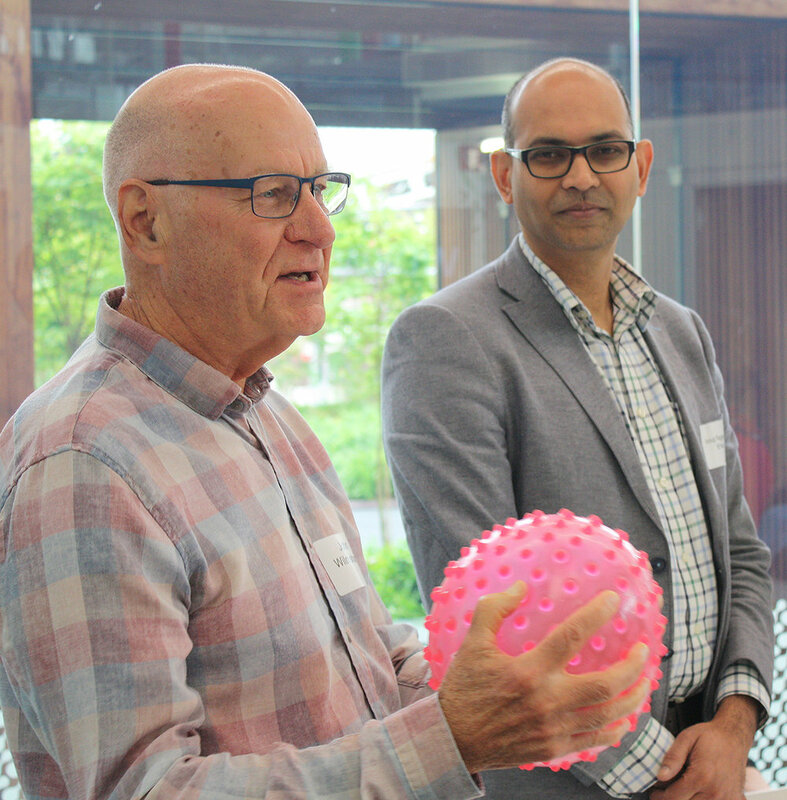 Stephen Blakeney of MedDev SA, an industry-led organisation which represents South Australia’s burgeoning medtech sector, said the workshop had been very useful in bringing together companies and older people to chart directions. Ageing in place in smart homes is a major global trend. LifeLab looks forward to working with companies and older people to come up with innovative solutions to help people to live long and well in their homes. Researcher Jennifer Taylor in the LifeLab. Yvonne and Julie at the Smart Home workshop.